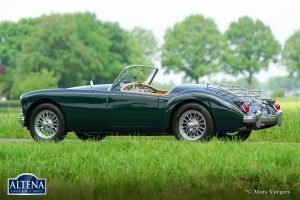 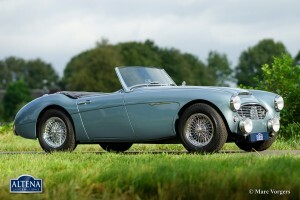 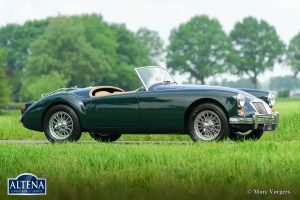 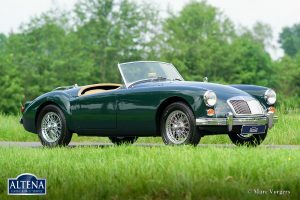 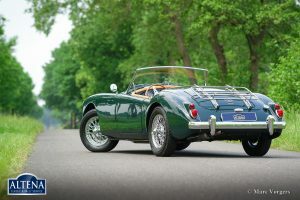 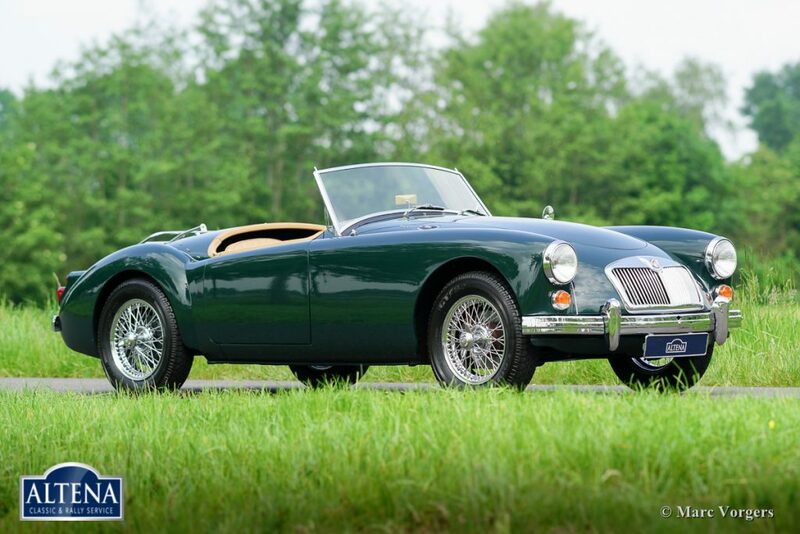 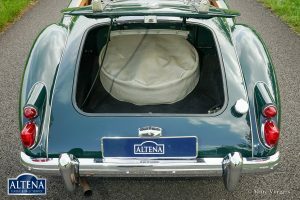 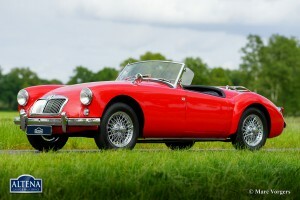 MG MGA 1600 roadster, year 1960. 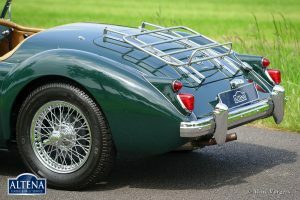 Chassis number 874XX. 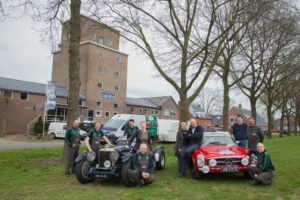 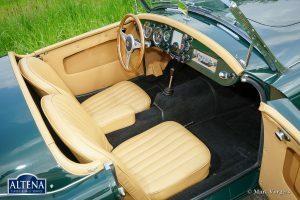 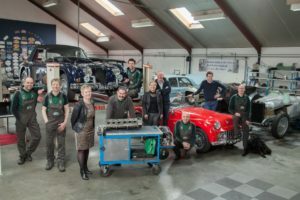 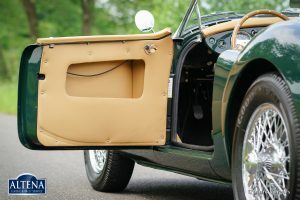 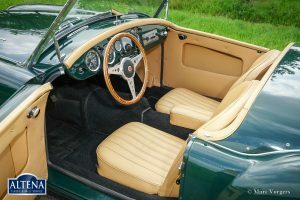 Colour British Racing Green with a beige leather interior, black carpet and a black soft-top. 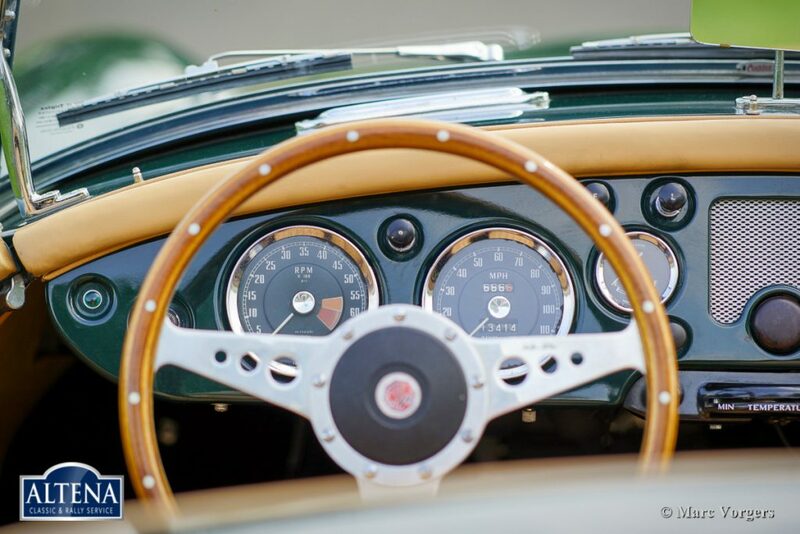 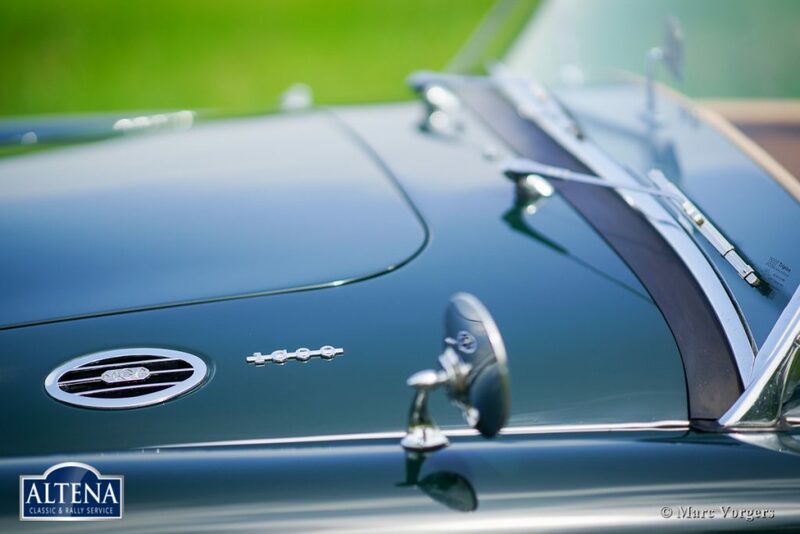 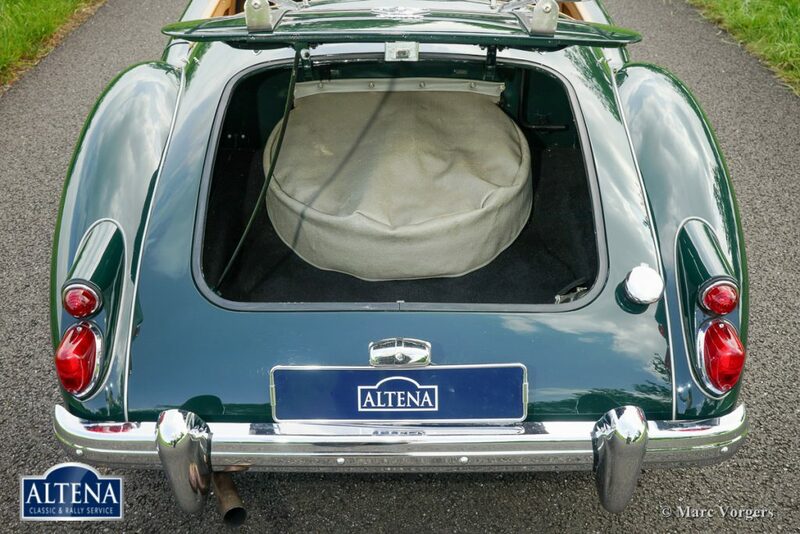 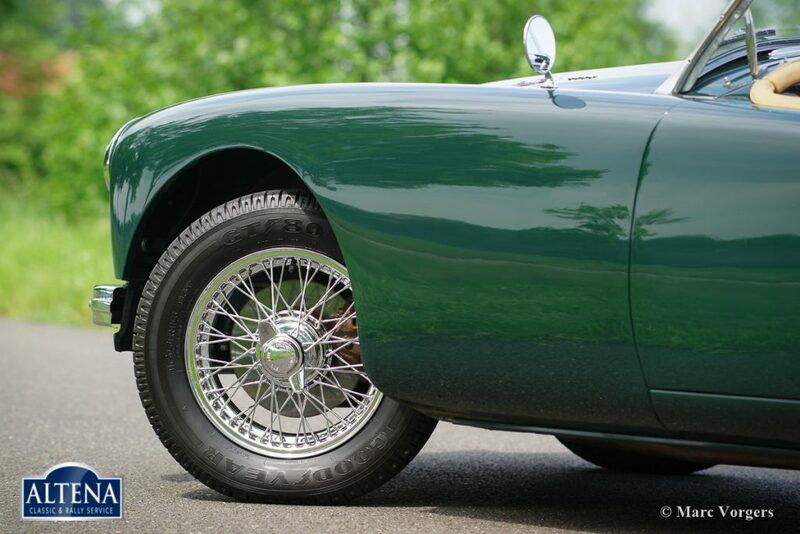 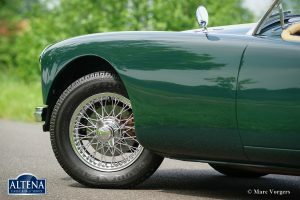 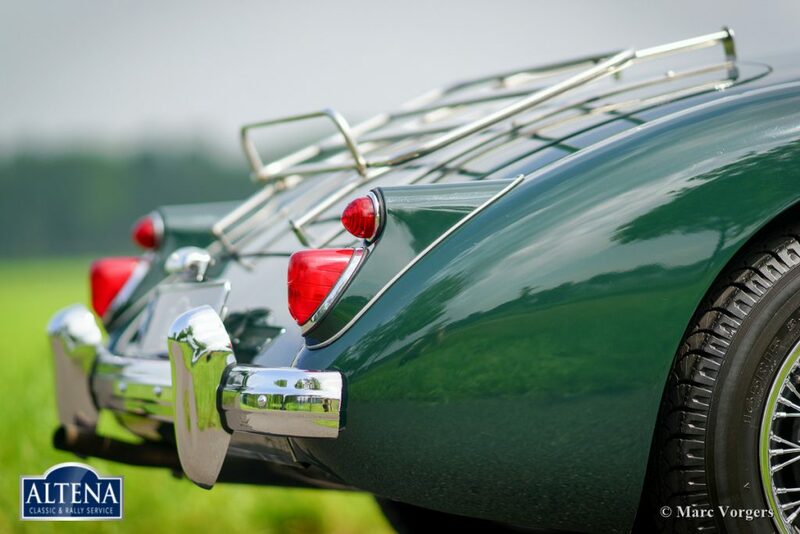 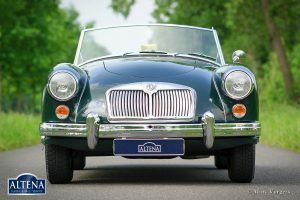 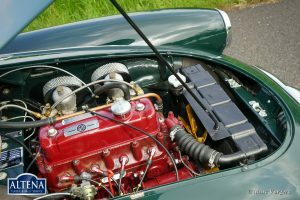 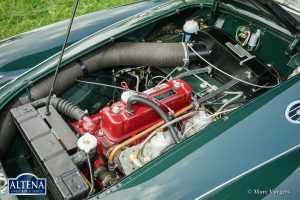 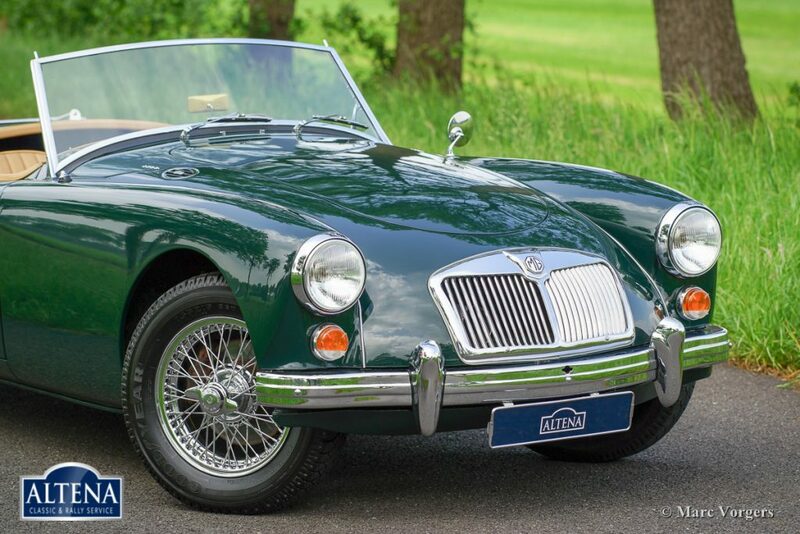 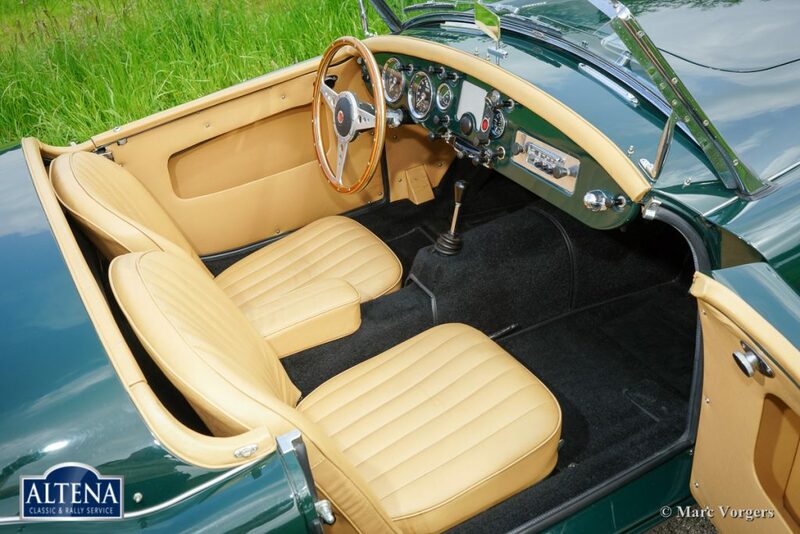 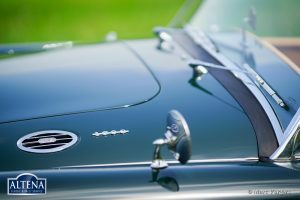 This gorgeous MGA 1600 was restored in the past and the car is in excellent to superb condition! 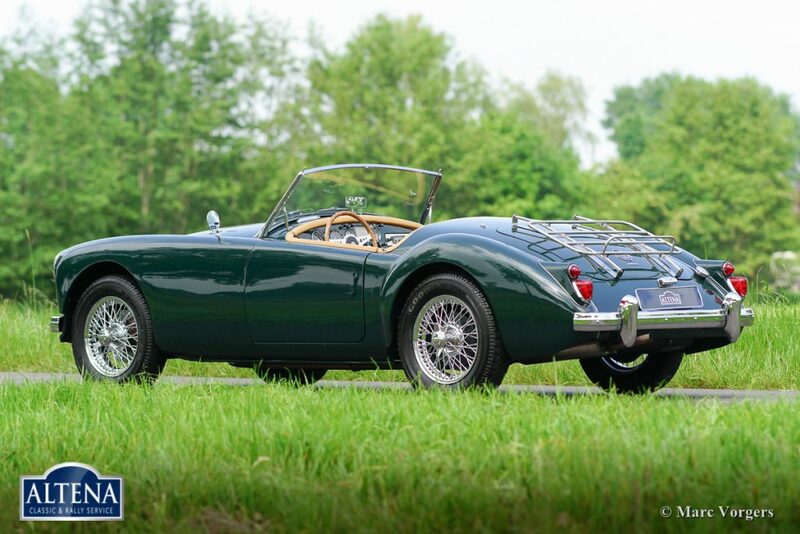 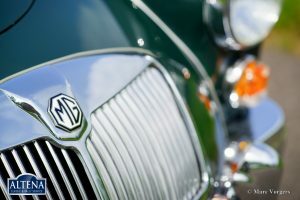 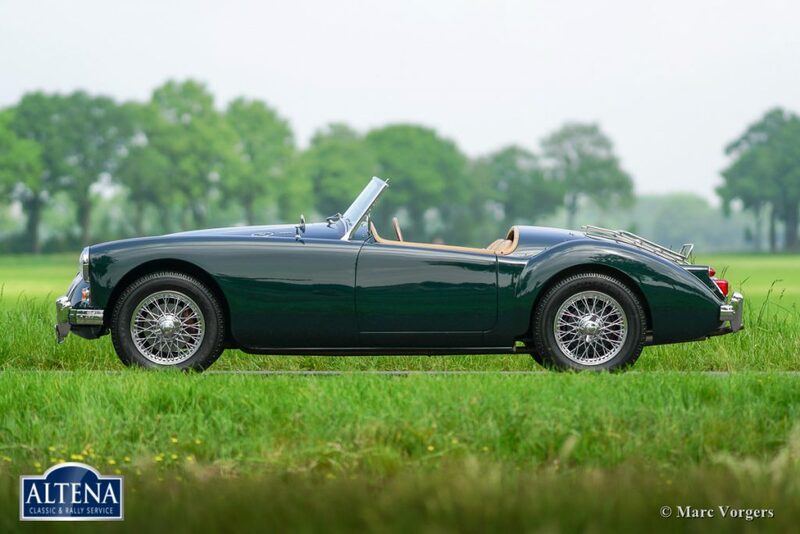 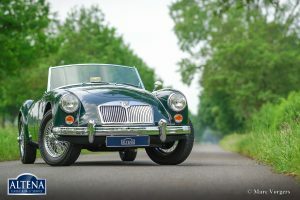 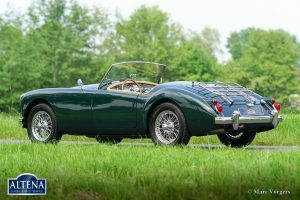 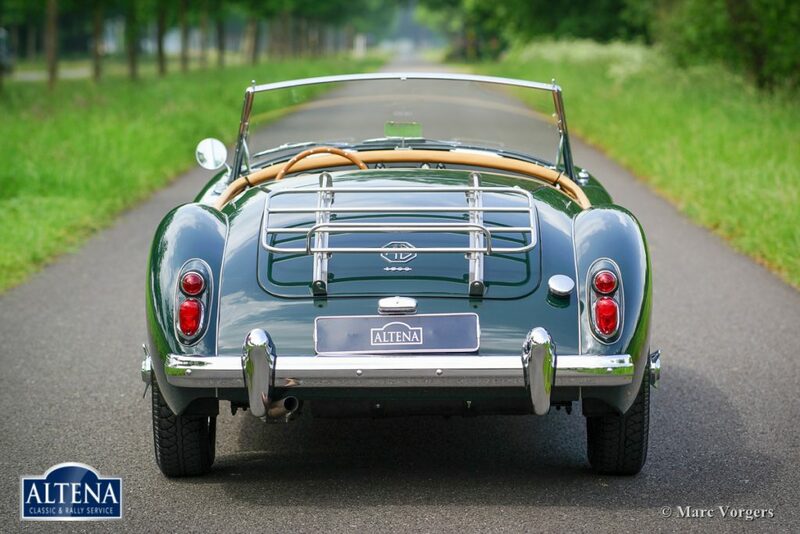 The MGA roadster is one of the most beautifully styled British roadsters. 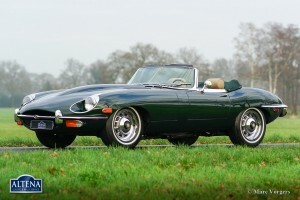 This car drives superbly and the open top driving experience is a sheer delight! 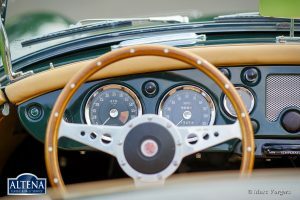 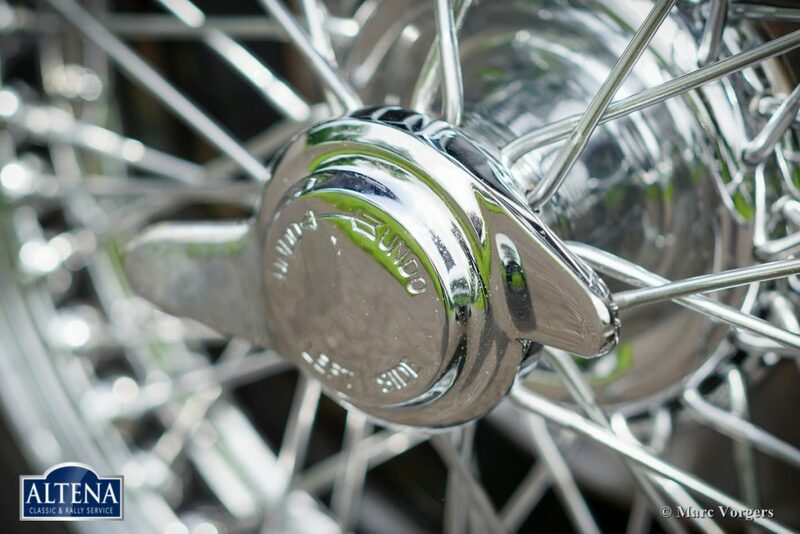 The car features chrome wire wheels and a beautiful MotoLita sports steering wheel with wood rim. 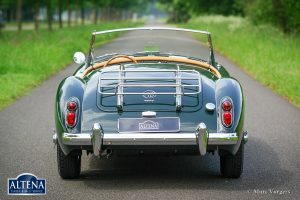 A magnificent specimen!